Snappsy the Alligator (Did Not Ask to Be in This Book!) Book Talk Tuesday | Primary Planet! 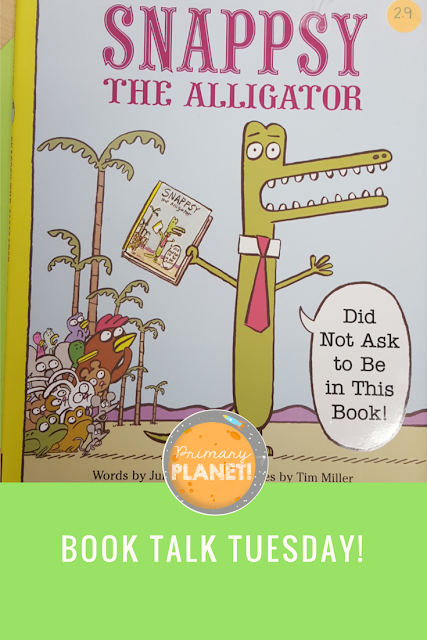 This week I am talking about Snappsy the Alligator! (Did Not Ask to Be in This Book!) by Julie Falatko. This is a hysterical story about, you guessed it, Snappsy! Of course, there will be a free Reading Response at the end! My kiddos LOVED this book! Poor Snappsy didn't want to be in this book, yet and annoying narrator is following him around describing his every step! I love it that you can find some book trailers on Youtube! Here is the one for poor Snappsy. He doesn't eat small woodland creatures, he goes to the grocery store! It's just a coincindence that he likes a multitude of foods that being with the letter P! He decides that maybe this party thing isn't so bad. He also discovers that the narrator isn't so bad after all! As a class we discussed narrators and what they do. We also did some acting! One person did some things in our classroom and another played the narrator. It was a lot of fun! We also spent some time with Party Planning! We had a big discussion about what one needs to throw a party, then we worked on the Reading Response to help Snappsy throw HIS next party! We had a lot of fun discussing music, food (lots of P foods), and decorations! I hope that your kiddos enjoy Snappsy, the Narrator, and the Reading Response too! If you don't have this book and would like to get a copy for yourself, you can find it here using this affiliate link (affiliate links provided to fund future book purchases!) I make a small commission at no extra cost to you! Thanks for your support! I love that you had your students narrate each other! That's awesome! 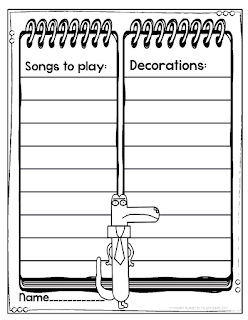 Can I send you a class set of Snappsy bookmarks? 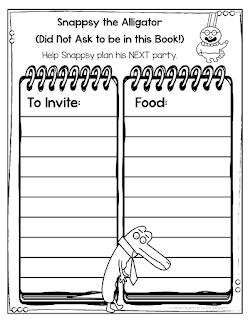 I would LOVE a set of Snappsy bookmarks! Hurrah! If you don't mind, could you e-mail me at hilarygard@gmail.com! Thank you! Wow nice post! I read the book is very informative and I always visit this post to get new books. My hobby is books reading. These books are very informative for child and easily understand. But this essay writing help is very helpful for those students who are searching these types of books.